Doctoral student at Centre d’Analyse d’Intervention Sociologique (CADIS), Ecole des Hautes Etudes en Sciences Sociales (EHESS), Paris, France. She achieved the Diplome Etudes Approfondies (DEA) from EHESS, Paris, France in 2006. 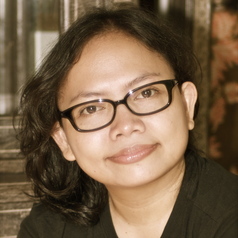 She is currently a lecturer at Department of Sociology, Faculty of Social & Political Sciences, Universitas Indonesia. She is also one of the founder of The Circle of Study of Progressive Education. Her main research interests are in the fields of social movements, identity, religion, youth & education.